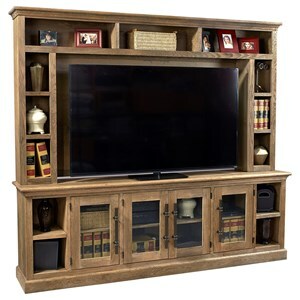 This entertainment console has two glass doors, and two open display shelves that can be used for living room decor display or entertainment storage. The casual style on this piece makes for a more relaxed, laid back living space. 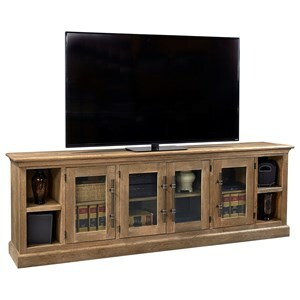 The Manchester 67" Console with 2 glass Doors by Birch Home at Sprintz Furniture in the Nashville, Franklin, and Greater Tennessee area. Product availability may vary. Contact us for the most current availability on this product. 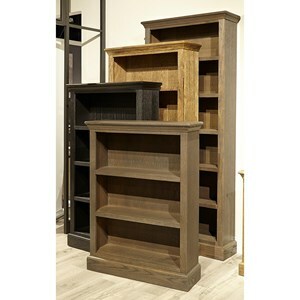 Storage Two doors with two shelves and two open display shelves. The Manchester collection is a great option if you are looking for Casual furniture in the Nashville, Franklin, and Greater Tennessee area. Browse other items in the Manchester collection from Sprintz Furniture in the Nashville, Franklin, and Greater Tennessee area.